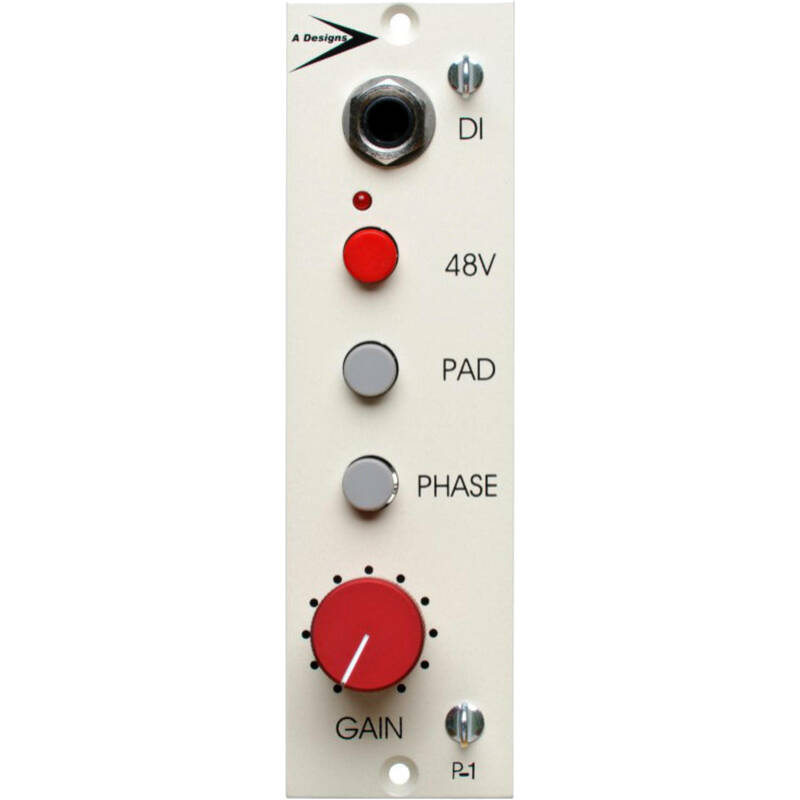 The P-1 from A-Designs is a 500 Series, solid-state microphone preamplifier that captures the sound of the legendary Quad Eight Pacifica console, offering a big, warm tone without being dark, and a sweet, open top end. The preamp features a unique DI signal path that utilizes two transformers for added depth and a richer tone. The custom-wound Cinemag transformers are of a proprietary design by A-Designs. The P-1 offers an ultra-wide bandwidth of 9 Hz to 101 kHz with less than 1% distortion, resulting in rich, harmonic content, while reducing in-band phase shifts for more realism. 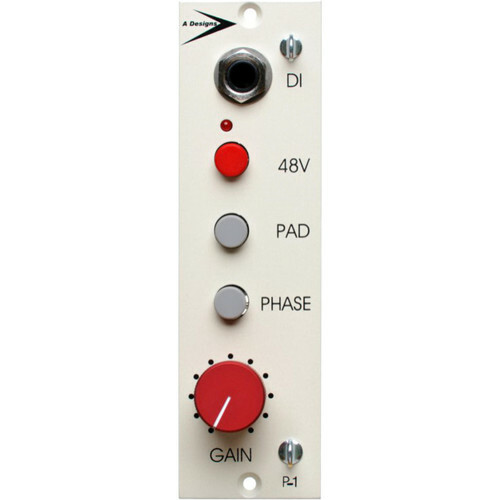 The preamp features a phase reversal switch, -20 dB pad, and 48V phantom power, while the 72 dB of quiet gain is more than enough for ribbon microphones. The P-1 is handmade in the USA. Box Dimensions (LxWxH) 9.0 x 7.0 x 4.0"